Willie Owens, a sturdy boy of 12 years, in cap, reefer and gray knickerbockers, stood in the Providence and Worcester Railroad station Friday afternoon. Tears glistened in his eyes, and he said he had no money. He wanted to find his way to the State Home, where he used to live, but knew not the way. Willie Owens had arrived at the Rhode Island State Home and School for Dependent and Neglected Children two years earlier, sent to the orphanage after his parents were interred at the State Poor Farm, most likely for vagrancy or petty crimes. In the spring of 1888, Willie had been indentured out to a Mr. Hiram Tifft of Sharon, Massachusetts. Then, on a crisp November morning, after all the harvests were gathered and Tifft’s farm was snug for the winter, he abruptly told Willie that he no longer needed the boy and purchased him a one-way ticket back to Providence. Willie Owens’ story was not unlike that of the thousands of other children who passed through the doors of the State Home and School throughout its tenure. Chartered by an act of the Rhode Island General Assembly in 1884, the State Home and School’s goal was to remove children from “degrading and disreputable circumstances” and enable them to grow up into productive citizens. About a quarter of the children sent to the State Home and School had lost one or more of their parents. The remainder of them had parents who were ill, destitute, incarcerated at the state prison or poor farm, or otherwise deemed incapable. 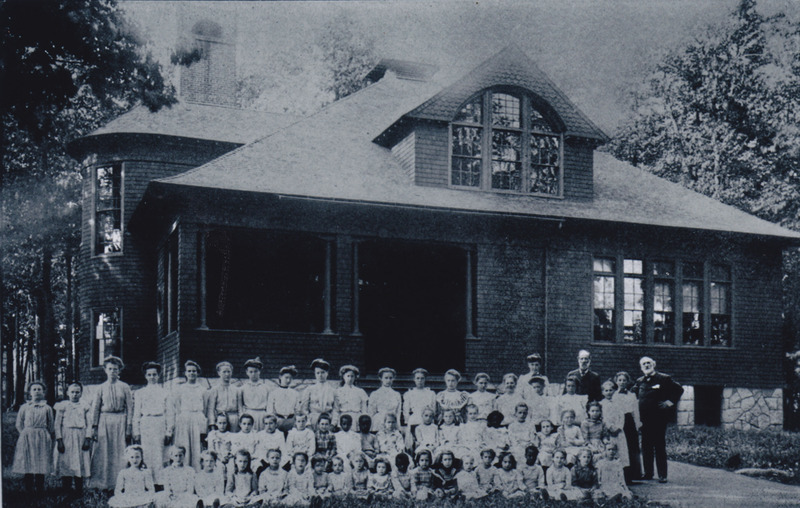 During its early years of operation, the State Home and School attempted to indenture, or “”put out,” most of the children entrusted to the institution. In theory, this practice both reduced overcrowding in the dormitories and facilitated the children’s eventual adoption. In practice, however, most of the children were utilized as a low-cost workforce, rather than candidates for adoption. Like Willie Owens, many of the children found themselves precipitously returned to the State Home and School when their labor was no longer needed. Most children were indentured to commercial farmers who were seeking labor on their extensive estates. Many of the children, born and raised in Rhode Island’s urban industrial centers, arrived at their new homes with little agricultural experience. Sometimes, the consequences could be tragic: in 1900, a twelve-year-old boy’s placement with a farmer was deemed unsuccessful after the boy lost an eye and broke his nose after being kicked in the head by a horse. In 1916, after a report by the Social Welfare League revealed the problems in the putting-out system, the practice of indenturing children began to be curtailed. A number of children responded to these pressures of life at the State Home and School with disobedience or truancy. Particularly unruly children might find themselves sentenced to spend the remainder of their childhood at one of the state’s two reform schools: either Oaklawn School for Girls or Sockanosset School for Boys. The State Home and School records also illustrate the disturbing regularity with which children from the State Home and School eventually ended up at poor farms, asylums, and prisons throughout the region. The State Home and School continued to operate until 1979. Renamed the O'Rourke Children's Center in the 1940s, the institution slowly transformed itself from a nineteenth-century orphanage into a modern receiving center for managing wards of the state. The state’s orphanage suffered from a serious lack of leadership and support from the state’s leaders. A series of scandals, runaway children, and demands from neighbors and advocates to shut down the institution led to its closing in 1979. Soon after, the Rhode Island Department for Children, Youth, and Families removed the last of its offices from the former State Home and School property and transferred the site to Rhode Island College. 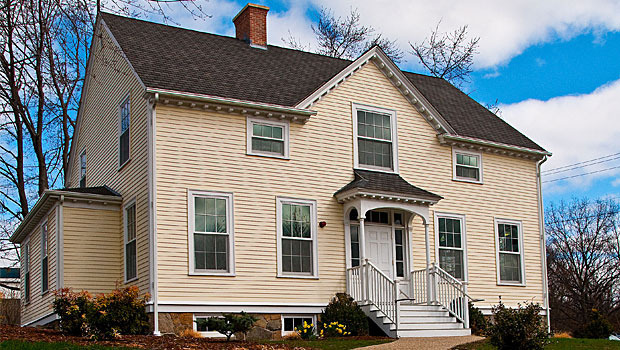 Yellow Cottage: Today, the “Yellow Cottage” is classroom, office, and museum space on the East Campus of Rhode Island College. Reopened to the public in 2012 after extensive renovations, the building is the last remaining structure from the original State Home and School complex. Built in 1885, the wood-framed cottage was one of several buildings constructed as sleeping quarters for the children. At the time, small cottages, each supervised by motherly figures, were considered a modern alternative to large, institutional dormitories. 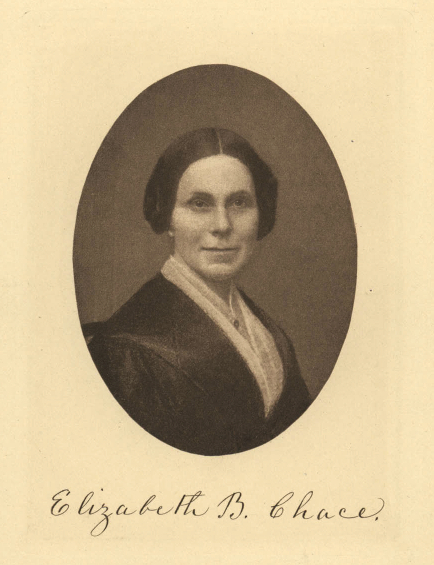 Elizabeth Buffum Chace: Better known as an ardent supporter of women's rights, Elizabeth Buffum Chace was also keenly involved in the foundation of the State Home and School. Concerned about the "large and constantly increasing class of children left without natural protectors," and horrified that "those children, found to be without means of support and proper care" typically ended up at local almshouses or the state's youth reformatories, Chace's support was critical for the passage of the 1884 legislation that created the State Home and School. State Home & School Children: Life at the State Home and School was fairly transitory for most children. On many occasions, children spent only a short time there before being either indentured out or returned to their families. State Home and School records show that it was not at all uncommon for a child to live with five or six different families over the course of several years. 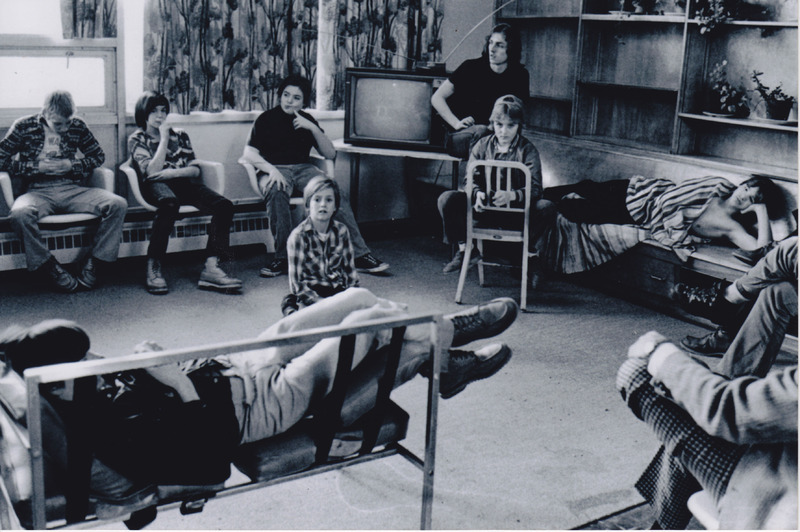 O'Rourke Children's Center: Shortly after the State Home and School was renamed the O'Rourke Children's Center in the 1940s, The Providence Journal did an extensive photographic spread on life at the center. With changing times and new facilities, modern technology arrived at the home, including television. 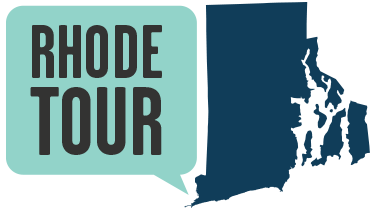 Rebecca Soules, “"Let us Build a Home for such Children",” Rhode Tour, accessed April 21, 2019, http://rhodetour.org/items/show/1. Crepeau, Henry J. Rhode Island: A History of Child Welfare Planning. Washington, DC: Catholic University Press, 1941. Libby, Helen C. History of the Patrick O'Rourke Children's Center. Providence: Department of Social Welfare, 1958. Lynch, Dorothy. “A Study of the Patrick O'Rourke Children's Center of Rhode Island.“ Master’s Thesis, Rhode Island College, 1953.